Phoenix Wrongful Death | Phoenix Personal Injury Law Blog - Breyer Law Offices, P.C. It’s difficult to comprehend why your loved one was taken away from you early, and how it could have happened. You are in a grieving state, and spending time researching what went wrong and if it could have been prevented seems too time consuming right now. You have funeral preparations to make and you need to support the rest of your family. If you suspect that someone else was at fault and caused your loved one’s death, you need help deciding what to do next. This is where the Husband and Wife Team at Breyer Law Offices, P.C. comes in. Our initial consultation with you is free, and we can come to you. Once we accept your case, we do all the hard work. We research what happened, collect facts about the accident, interview witnesses, and begin the work to build a case. – Your loved one visits a dog park and encounters a dog that is aggressive. She tries to leave, but the dog follows her and the owner is not paying attention and is not able to control it. The dog attacks and bites her several times. She dies several days later in the hospital. – Your loved one is biking to the Phoenix Event Center when he is struck by a drunk driver. Even though your loved one was obeying traffic laws, wearing a helmet and was even in a bike lane, he died upon impact when the drunk driver swerved into the bike lane and hit him. – Your child is participating in sports. It is an extremely hot day and the coach schedules practice for the middle of the day, when the sun is the hottest. The coach pushes students to continue practicing even though some are showing signs of heat related injuries. Your child is not able to cool down and rehydrate enough, and experiences severe heat stroke. Instead of immediately calling 911, the coach has him rest in the shade, but he goes into a coma because of his injuries. He later dies in the hospital. – Your husband is walking past a construction site near CityScape Phoenix when building materials fall from above and strike him on the head, killing him instantly. You learn the area was not closed to pedestrians and there were no signs warning pedestrians of possible danger. While these are only a few examples of wrongful deaths, what is important to remember is that the death occurred when it might have been avoided if not for someone else’s carelessness. 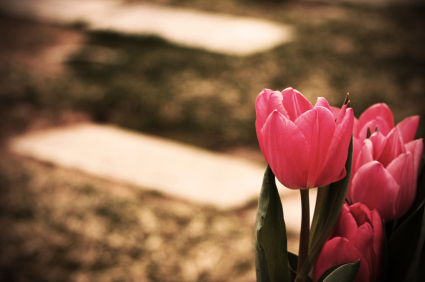 In your grieving state, it’s hard to think of the future without your loved one. That’s why we are here to help. We want to make sure you receive a settlement that protects you financially from the loss of a loved one. You’ll have funeral costs, lost wages, future lost income, emotional suffering, and loss of a partner or child to recover from. A settlement helps create a financial cushion that allows you more space to grieve and cope with your loss.